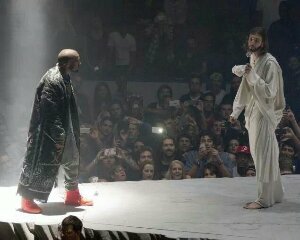 Seems like Jesus came through the set to Holla at Kanye West in Seattle. Fans responded with mixed reactions to the mock Jesus. How do you feel about this???? ?